To create connection between Python programming language and MongoDB database, we need to first install pymongo driver. Here, we are creating an example that connects to the database and performs basic database operations. This script prints the inserted record on the console. 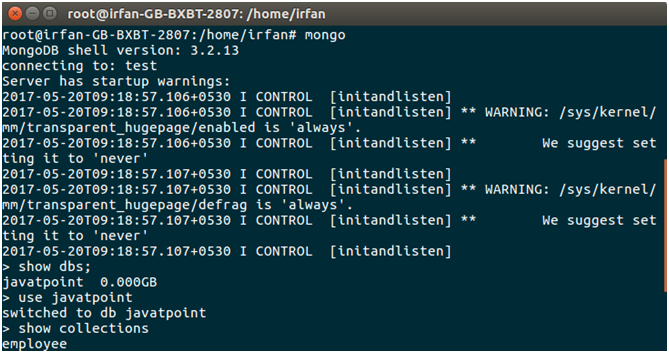 Now, enter into MongoDB database shell to see the created database and collection. We can use following command to enter into the database. The following command is used to show available databases. The following command is used to show available collection into the database. We can see the stored records in particular collection. The following command is used to show the record.